Nostalgia > What's your favourite dance moment of all time? What's your favourite dance moment of all time? When rival gangs, the Jets and the Sharks meet, not only do fireworks spark but so does some terrific dancing! With the pavements of New York as their dance floor, these boys fight against one another clicking, flicking and kicking their way through Stephen Sondheim's zany score. Showcasing a quirky style of dance altogether new to the generation who grew up with Fred and Ginger, West Side Story made sure musical theatre and the dance world would never be the same again. Gene Kelly made one of the most memorable dances of all time by reliving every toddlers' favourite past-time of splashing through puddles. Despite reportedly being horribly ill with flu on the day of filming, Gene still managed to wow viewers, surprise the odd policeman and inspire Morecambe and Wise to create an unforgettable parody years later. His fancy footwork and shameless enjoyment certainly left a smile on our faces. 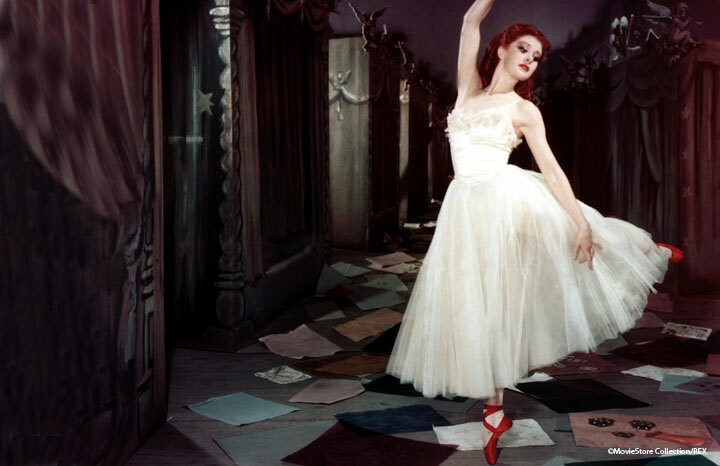 The mix of Moira Shearer's eye-popping copper locks and those stunning red shoes made this re-imagining of Hans Christian Andersen's tale a haunting experience. As the ballerina Vicky Page, Shearer brought incredible ballet to mainstream cinema and left us utterly bewitched by her moves. Looking wonderfully dapper stepping out in his top hat, his white tie and tails, Fred Astaire lovingly whisks a fantastically feathered Ginger Rogers around the dance floor as he serenades her with 'Cheek to Cheek'. One of the most memorable performances from dance's best-loved duo, 'Cheek to Cheek' left us longing to be twirled around an empty ballroom ourselves one day. In his acid wash jeans and his loose grey vest, Kevin Bacon gave us all a surprise when he popped out that astonishing performance in Footloose, twirling out one flip and trick right after another. Stuck in the sleepy town of Bomont which bans dancing and rock music, Kevin's character Ren lets out steam with this angsty dance number it's difficult to ever forget. School discos could certianly be pretty exciting but Grease's high school dance undoubtedly looked like the pinnacle of fun. Mixing together swirling 50s skirts, John Travolta's lightning moves and swinging songs, this movie moment had many a teenager practising the moves (and especially that hand jive) in the mirror for many years after.